The Flow Rate Sensor allows you to easily measure stream velocity for environmental or earth science studies. Using this durable sensor, your students can measure the flow of a stream at different points, in m/s or ft/s. Using flow rate data, your students will be able to calculate discharge value for the stream in m3/s or ft3/s, or determine the sediment transport of the stream. The impeller rod separates into four sections for easy transport and convenient storage. 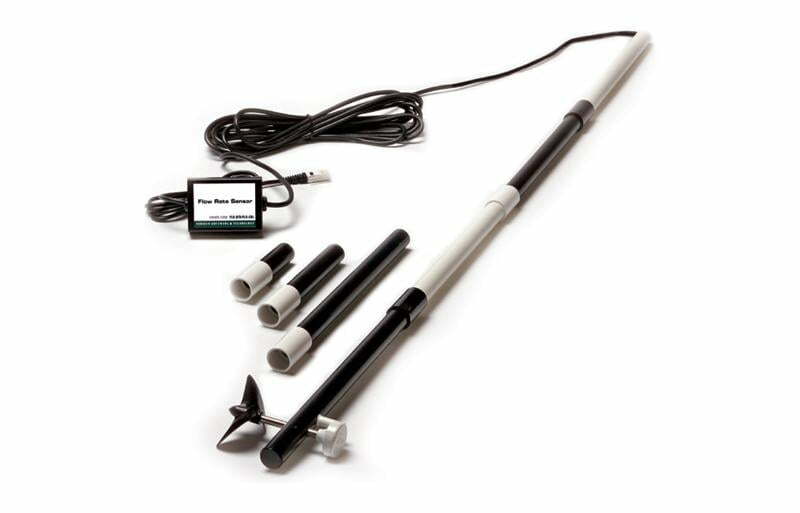 The Flow Rate Sensor comes equipped with a five-meter cable so your data collection equipment can stay on shore while you measure flow rate in the stream. Three riser rods are included with each sensor, which enable the impeller to be placed at fixed depths. The Flow Rate Sensor requires a compatible interface and software to collect data. Interface and software sold separately.